John graduated from the University of Technology, Sydney with a Master of Law and Legal Practice. Prior to this, he also obtained a Master of Science from the University of Sydney, and pursued a Ph.D at the Australian National University. John was appointed as a Justice of the Peace in NSW in 1999. He was admitted as a solicitor and barrister of the Supreme Court of New South Wales, Australia in 2002. John has over 20 years of experience in immigration law practice. Over the years, he has assisted hundreds of entrepreneurs and senior business executives to migrate into Australia or to establish their business presence in Australia. John frequently represents clients at the Migration Review Tribunal, Administrative Appeal Tribunal and Federal Court for merit or judicial review of their visa applications or visa cancellations. Through his extensive immigration work, John has established a solid peer network and earnt a reputation as a leading immigration law advocate in the community. John’s other areas of practice include civil litigation, commercial and property law. He also provides legal advice to both individuals and public listed companies concerning foreign investments, mergers and acquisitions in Australia. In addition to his legal practice, John was the founder of The Australian Chinese Times which is the only bilingual (Chinese and English) newspaper published in Australia. He was the CEO for this newspaper between 1996-2004 and successfully established joint publication programs between Beijing Daily, Qingdao Daily, Xiamen Daily and Sichuan Daily with The Australian Chinese Times in Australia. John also writes and delivers public speech on a wide range of legal topics. John was appointed as a visiting Professor at Fujian Normal University, China in 2009. John currently holds several advisory positions with public listed companies and community organizations in Australia and China. Notably, he is a member of the Executive Committee of Xiamen Overseas Friendship Association in China. 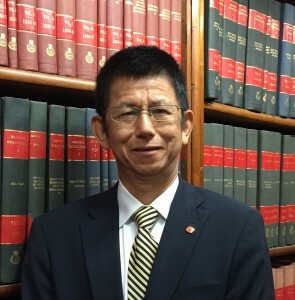 He is also a legal advisor for Australia China Economics, Trade and Cultural Association.